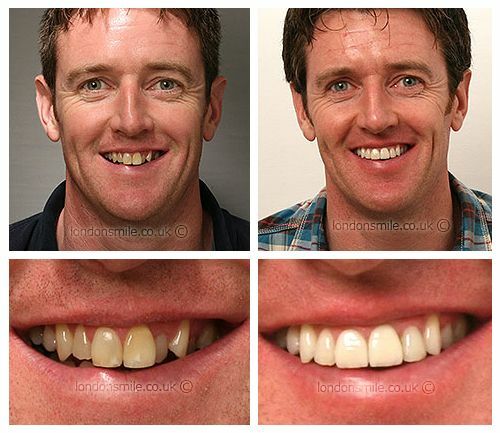 With a combination of fixed orthodontic treatment and porcelain veneers, his smile has been transformed. After seeing a photo of me three years ago, I decided to improve the look of my teeth. Braces top and bottom, front veneers, whitening. Minor discomfort for about 24/48 hours post visit, but afterwards no real problems. Very happy with my smile. I feel completely happy with my smile and teeth. Very professional throughout and super friendly.